They’re one of Australia’s favourite country rock bands and now The Wolfe Brothers have announced the first dates of what will be a year-long jaunt called Let’s Hit The Road – Australian Tour. Easily one of the hardest working bands on the circuit today, if they’re not touring, they’re writing and recording – in fact, they haven’t really stopped since they smashed onto the Australian scene back in 2012. 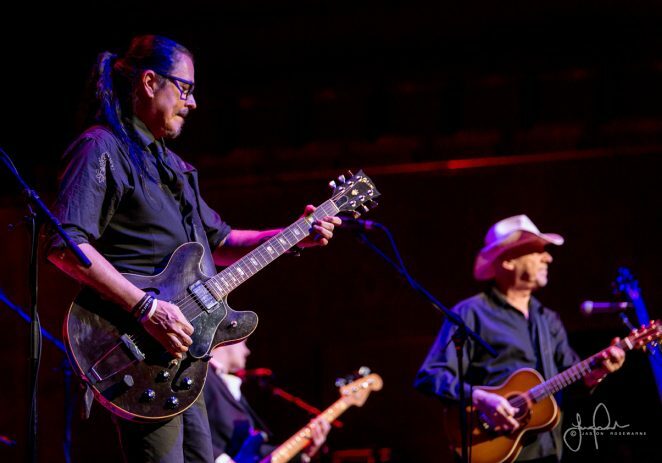 Rightfully considered as one of the hottest live country bands in Australia, The Wolfe Brothers are renowned for their tight performances and affable approach. With the release of the first leg of their Let’s Hit The Road – Australian Tour for 2017, the second leg – slated for 2018 – will be announced in coming weeks. 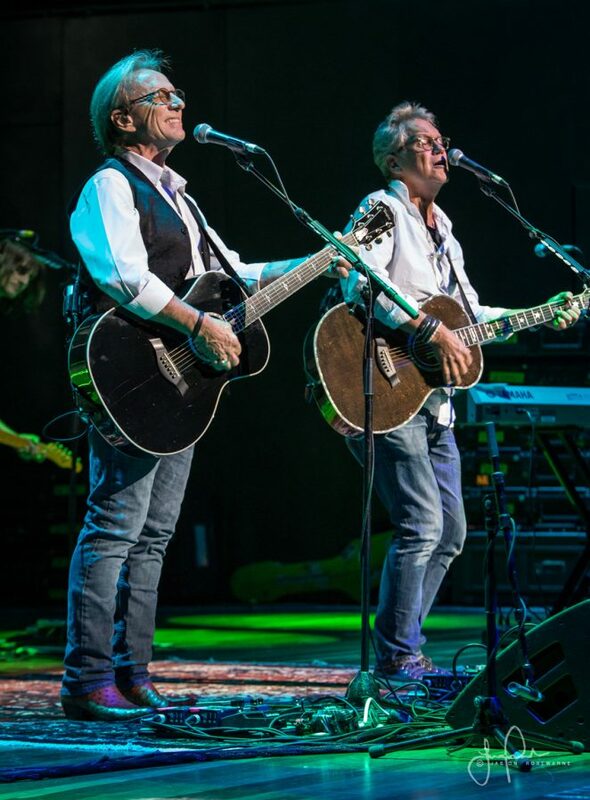 The band is looking forward to sharing some of their biggest hits – and new material – with fans on the road. The Wolfe Brothers most recent album This Crazy Life hit #2 on the ARIA country charts and has spawned three #1 singles, making it 10 singles in a row from the last 3 albums to hit the #1 spot on the country charts. The current radio release, a duet with Lee Kernaghan on his single Damn Good Mates, has also spawned airplay around the country. 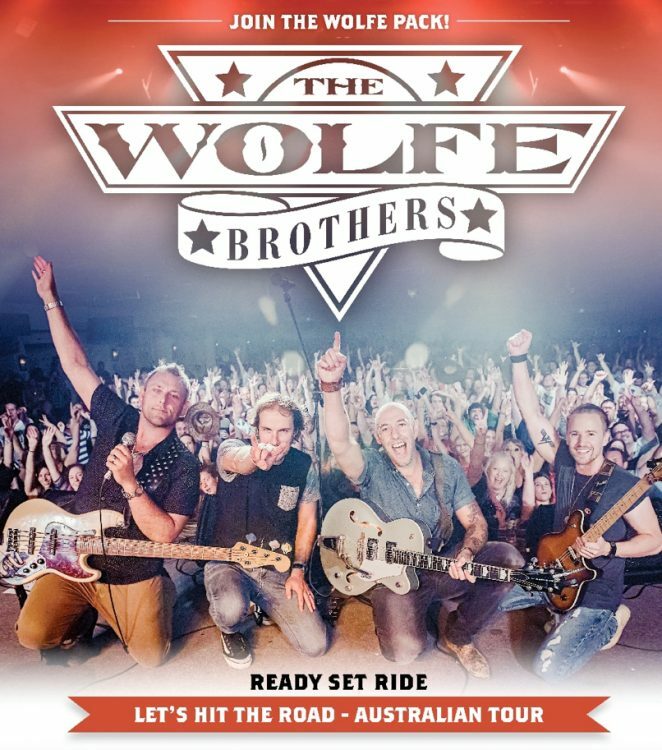 The Wolfe Brothers Let’s Hit The Road – Australian Tour will roll-out around Australia until June 2018. The band’s as-yet-untitled new album will be released mid-2018. 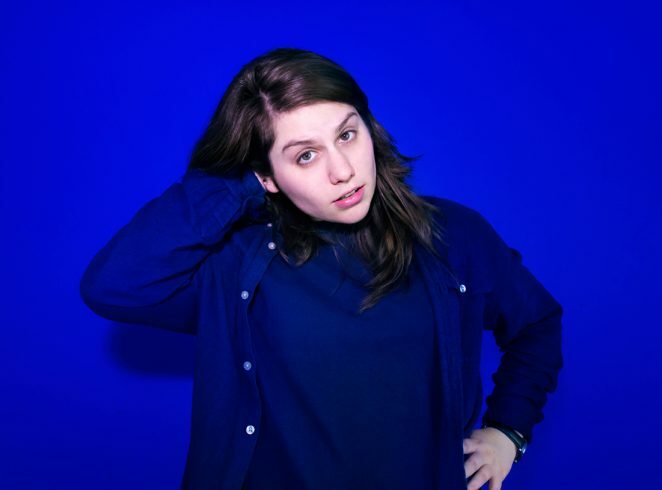 It seems that whatever Melbourne based singer-songwriter Alex Lahey sets her mind to, she can achieve. Alex announced herself to the world in 2016 with her debut EP ‘B-Grade University’. The EP saw the Melbourne singer songwriter catapulted into popularity with fans and critics alike. Pitchfork, Brooklyn Vegan, Rolling Stone, Sterogum all got on board as she scored spots on festival bills from SXSW to Splendour. Now in 2017, she is ready to release her debut full length album, I Love You Like A Brother, and with it, the first single, Every Day’s The Weekend (see video below). Lahey sees her life as ordinary: “I fall in love, I have a family, I go out with my friends, I like to have a drink.” However, most people can’t distil those universal experiences into wry, punchy indie-rock songs – three-minute odes to millennial angst and all the complicated feelings that come with it. Alex Lahey can. ‘Love You Like A Brother’ is proof. The video for Every Day’s The Weekend, created by Alex’s long-time collaborator, Jam Nawaz, (Remi, Bec Sandridge) and renowned local artist Callum Preston, features cameos from celebrated Australian comedian Barry Morgan, as well as Alex’s mum. To celebrate the release of I Love You Like A Brother, Alex and her band will hit the road in October for a run of shows across the country. After selling out her last in May and wowing fans across the country, this tour should be no different! The Russell Morris story is a tale in two parts. You have the platinum-selling, once king of pop who had hit after classic hit in the 60s and 70s. 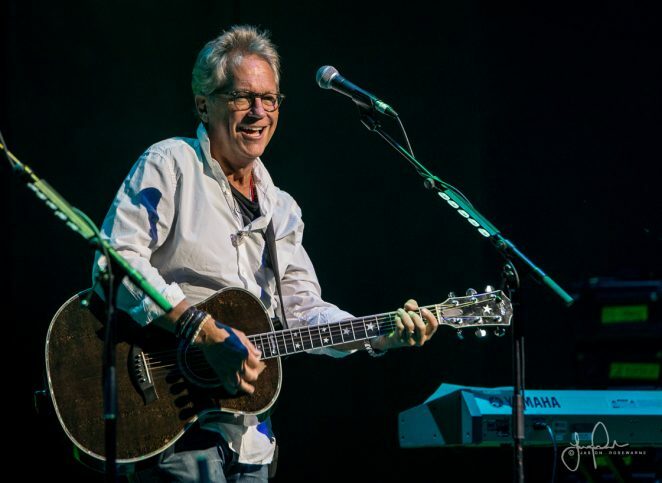 You then have the modern day country-blues troubadour, relating fascinating stories of Australia’s character-filled past. 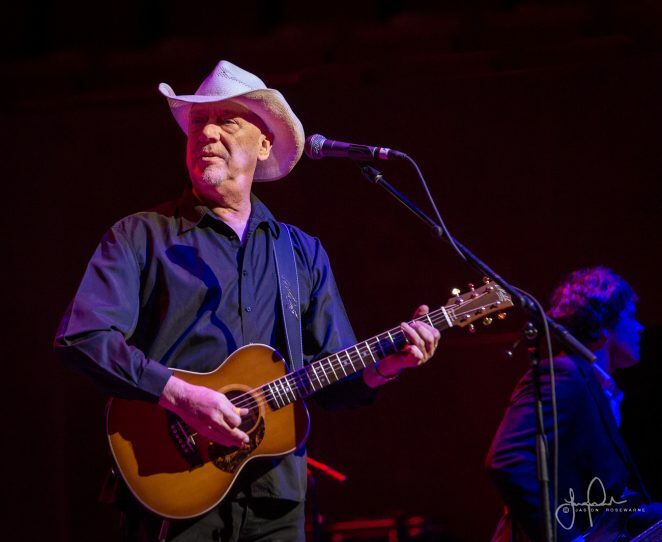 Both were on display last night at Hamer Hall and Morris has been able to perfectly meld those eras together into one consummate show. Russell kicked off his support spot feeling blue … Black Dog Blues, It’s All Over Now Baby Blue and Walking The Blues Away before presenting Sharkmouth, the catalyst for the rebirth of his career. It was evident quite early in the set that Russell has lost none of his vocal power, a fact which became even more obvious during the performance of his earlier material. Mention must also be made of guitarist Pete Robinson, who is such an integral part of the Russell Morris band. Not only is his guitar tone superb, the expression and control of his instrument is second to none. Wings of an Eagle signalled the beginning of a string of classic Morris songs which included Rachel, The Real Thing and Sweet, Sweet Love, resulting in thunderous applause from the crowd as he left the stage. 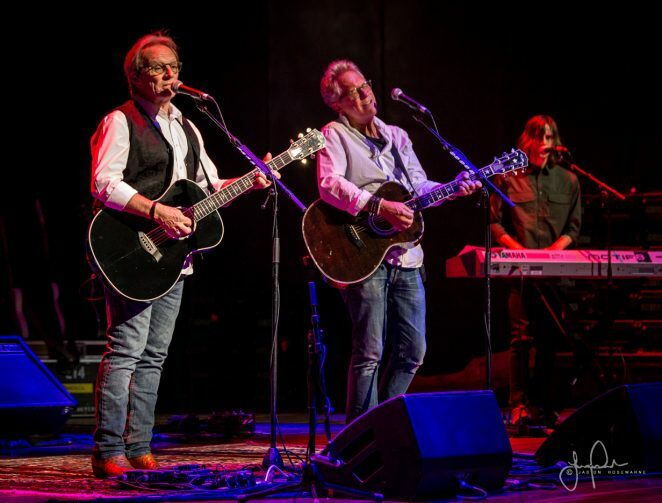 Gerry Beckley and Dewey Bunnell (not forgetting Dan Peek in the band’s formative years) have captured imaginations and shared their brand of Californian sunshine with music fans all over the world for the last 47 years. Achieving album sales in the millions, their records featured numerous hit singles which became the soundtrack to so many people’s lives. From the moment the band hit the stage, the nostalgia juice was flowing. Opening with Tin Man from 1974’s Holiday album, the audience was immediately transported back in time, with the huge backdrop screen displaying memories of the generation. Skipping a decade, “You Can Do Magic ” followed, showcasing the band’s tightness and energy. Lead guitarist Andy Barr emerged from the shadows of the back row to take up main vocal duties on Don’t Cross The River and for the remainder of the night proved to be a vital cog in the band’s wheel, as to was bassist Rich Campbell. Seated at the keyboard, Beckley launched into the beautiful ballad Daisy Jane, revealing that time has not been as kind to his vocal chords as Bunnell’s, yet there was still plenty of collective harmony power to recreate that unmistakable America sound. 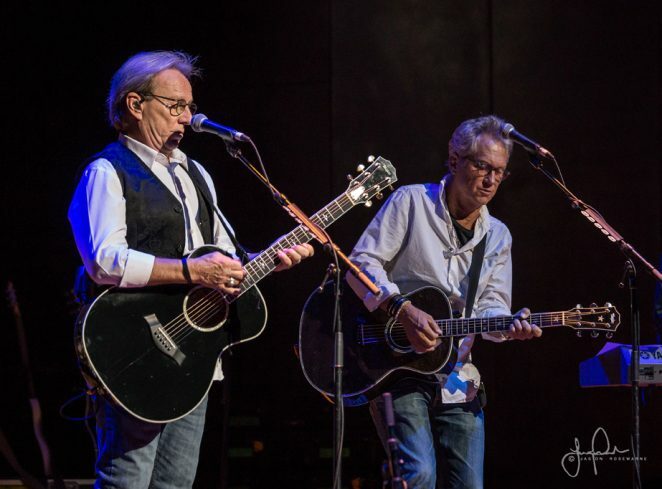 The band dug deep into the catalogue, presenting much-appreciated obscurities as well as timeless classics such as Ventura Highway. Is there a song which defines the 70s west coast era more than that one? You could argue a number of Eagles’ songs but the amount of film soundtracks featuring that Dewey Bunnell masterpiece seals the deal in my opinion. 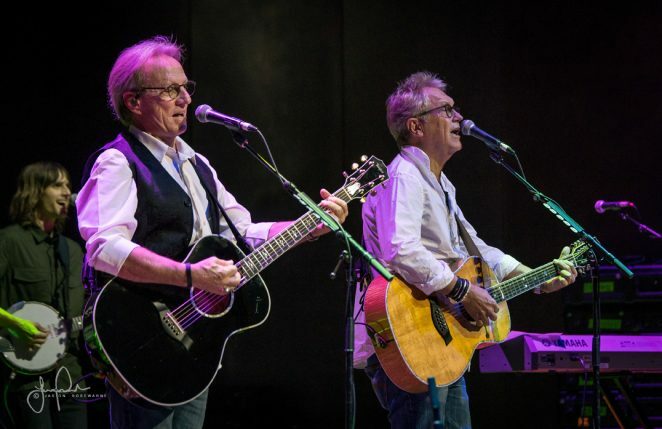 The song Driving, off 2015’s Lost and Found, an album of archived material proved to be a rockin’ exchange between the accomplished musicians on stage, leading Beckley to comment that they’d come “Dangerously close to a jam”. A lush version of Eleanor Rigby paid tribute to the seven albums in a row George Martin produced for them. This gig wasn’t just a celebration of one of the greatest song catalogues in popular music, it was the acknowledgement of a period in time when life was a little less complicated. Romantic visions of a Hollywood which doesn’t exist anymore accompanied their song which took the town’s name. A gorgeous version of California Dreamin’ further fuelled the sentiment. 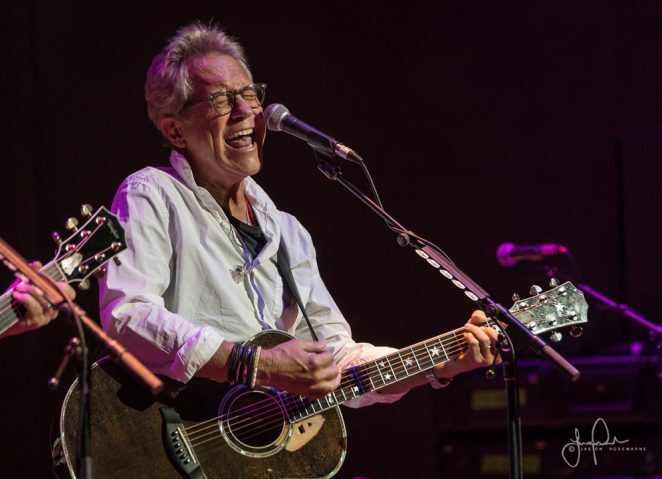 Beckley and Bunnell have more or less been doing a similar set for most of their career but the packaging of songs into brackets as they did on this tour, partnered with the relevant projections added gravitas to the concept. At the pointy end of proceedings, the chart toppers came thick and fast. Lonely People, a song of hope was as poignant as ever. The guitar-heavy treatment of Sandman gave the song a fresh coat of paint which the crowd relished and Sister Golden Hair put the result beyond doubt. 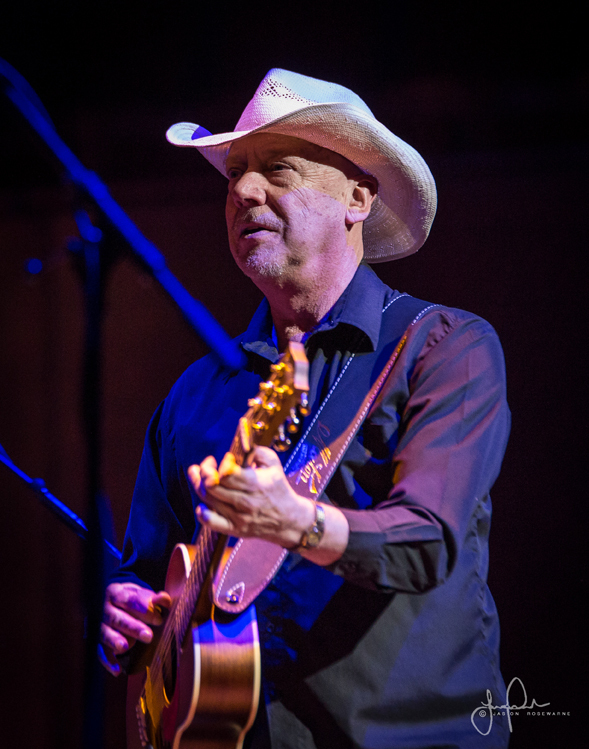 Russell Morris and a couple of the band’s friends were summoned to the stage for the all-singing finale, the band’s signature tune Horse With No Name. America is not the kind of band that offers the usual ‘toilet break’ songs, the new tunes which are slipped into a set bookended by their hits. What you get is to be transported back to a time when the song was king, harmonies were perfect and all was right with the world.